Wawasee barnstormed its county rivals Monday in the final regular season game for both teams. Over half the Warriors roster had a score in the contest. Noah Wilson, Preston Pruitt, Cody Pinkerton, Cam Mangun and Jaydon Boyer all scored touchdowns while Carr Reinhard and Shawn Pinkerton each converted point-after tries. Ray Torres and Valerie Haessig led the Wawasee defense with an interception and a sack, respectively. Wawasee sits at 3-0 heading into Saturday’s Warsaw Sectional at Fisher Field, the Tigers are 1-2 overall. 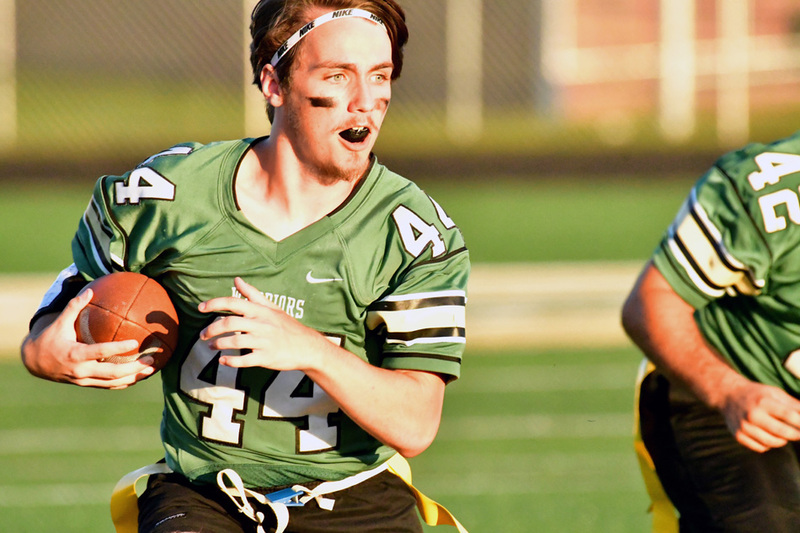 Wawasee will take on Goshen (0-3) in the sectional semi-finals while Warsaw will meet Tippecanoe Valley (1-0) in the other semi-final, games slated to start at 2 p.m.
Tanner Trippiedi is used to running with the football for Valley. The former varsity quarterback was under center for Valley’s first-ever Unified game at Goshen and made an immediate impact. Trippiedi scored on Valley’s first play, which opened up a lot of options for the Vikings. Trippiedi passed to Connor Frentzl for a score, Drew Thompson hit Nate Heckaman for another passing score and later hooked up for a two-point conversion, and Tyler Nine had a long rushing score. Cade Brouyette, Haley Hale, Cheyenne Barngrover and Arianna Wright also made key contributions in the win.